What does setting a template as Active do? 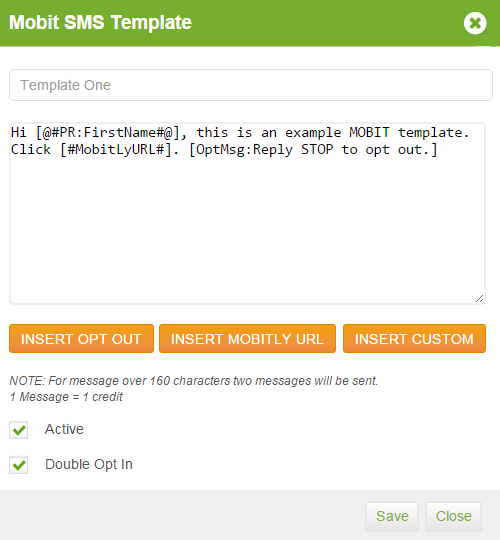 If you check the active check box, your template will show in the list of available SMS Templates when selecting a MOBIT/SMS action from your campaign builder, depending on whether you select to plain text or MOBIT from the SMS Type check box as shown below. 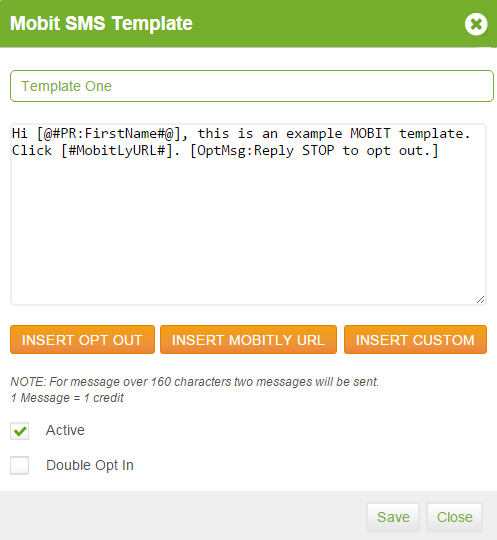 What does setting a template as Double Opt in do? Why can't I edit or delete some of my templates? You account comes preset with a certain number of templates that cannot be deleted. These will not have a check box to the left of their name and will prompt an error when you try to edit them.